If you’ve ever watched The Simpsons, heard of Three Mile Island, or visited the glowing wildlife around Fukushima, Japan, you’ve had some exposure to nuclear chemistry. See, nuclear chemistry can be fun! So, without further ado, let’s address the biggest issue: Is nuclear chemistry going to kill me and everybody I love? I bet you think I’m going to say that there are a million things to worry about like melting faces and glowing squirrels and something, huh? Nope. OK… now I bet you think I’m going to say that there’s nothing at all to worry about, because nuclear processes are all 100% safe and preventable. Nope. The truth is this: Nuclear chemistry, like anything else, is a technology that can do both great and terrible things. For example, nuclear processes have helped to make enough power to keep society running, and have also allowed the long-range space probes to continue operating for over thirty years. Nuclear chemistry also helps to diagnose and cure cancer, making the prognosis for cancer patients better than ever before. But (and this is a big “but”), the number of deaths due to nuclear incidents has been vastly inflated in the mind of the public. 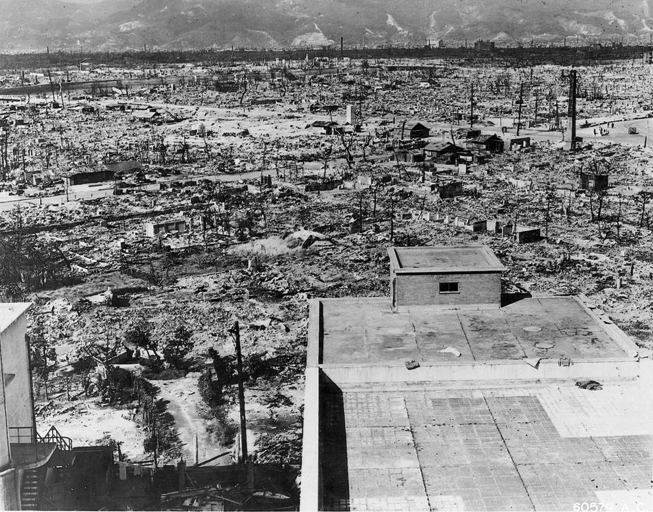 Using Wikipedia as a source (which is a pretty good one, actually), you can see that a total of about 650 people were directly killed in nuclear-related accidents, with another 5,000 or so estimated to have died over the long term. This corresponds to a lot of human suffering, but keeping in mind other sources of power, we actually find that nuclear power isn’t quite as bad as it seems. In fact, per unit of energy produced, nuclear power results in the fewest number of deaths of any energy source, even when compared to wind and solar power (source). Yes, nuclear power isn’t 100% safe, but when you’re dealing with large quantities of energy, nothing is 100% safe. What are nuclear processes used for? Nuclear medicine: Nuclear reactions are used in medicine in a couple of different ways. In order to diagnose some conditions, patients are asked to ingest radioactive materials that will show up well on scanning machines. In the case of medical conditions such as cancer, radioactive pellets can be injected near the tumor site to kill the tumor cells. And if you count X-rays as a nuclear process (and you should), your broken bones have probably been studied with X-ray pictures. Nuclear power: Nuclear fission processes generate a lot of heat, which turns water into steam and turns turbines which are hooked up to electrical generators. Contrary to popular belief, the only thing that’s released by nuclear reactors during operation is hot water (which is usually dumped into a nearby body of water once it cools down enough to keep from melting the fish) and steam (which is what you see coming out of the big cooling towers on nuclear power plants). In fact, nuclear power plants work in almost identical fashion to coal power plants, except without the huge smokestacks. 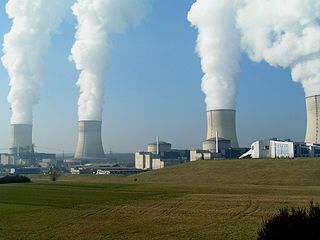 A French nuclear power plant, generating steam from four cooling towers. Though no radiation is released into the environment, it’s rumored that French nuclear plants have been making weapons-grade cheese. Nuclear weapons: We talked about that already. Let’s move on. 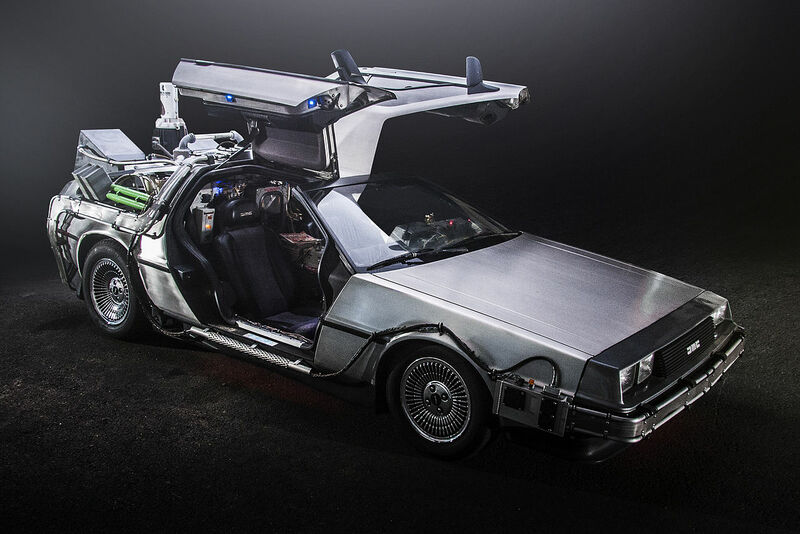 Doc Brown has also gotten some promising results in the field of temporal mechanics. Isn’t all this nuclear stuff really physics and not chemistry? Yes. Well, sort of. Maybe. It turns out that by our normal definition of chemistry (i.e. something that studies how molecules behave and form/make bonds), nuclear chemistry isn’t chemistry at all. There are no chemical reactions taking place at all in a nuclear reaction – the only change is, as the name suggests, in the nucleus of the atom. And if you’ve ever heard of the Large Hadron Collider (which I once misspelled to great embarrassment), you know that physics guys live for all that atomic particle stuff. You won’t find those things in a chemistry lab simply because the energies required to make nuclear processes are so big that chemical processes can’t reach them. How radioactive elements undergo chemical reactions. This is pretty typical chemistry stuff, except that your beakers have to be disposed of in giant underground bunkers. How radioactive elements affect biological processes. What happens if plutonium gets into your body? How will the resulting radiation mess you up? Nuclear chemists study that stuff. How do you get rid of nuclear waste? Is it safe to stick into the ground, or do you have to do something way more expensive and annoying? What will it do when it hits groundwater? These are good things to know. How can we process nuclear fuel? It’s nice that physicists can make radioactive stuff in their reactors, but when it comes out it’s all messy and yukky. We make it clean enough to stick into reactors. We use it to study other chemical reactions. How do we know that atom A switches places with atom B? Simple: We just make a version of the compound where atom A is a different isotope than atom B. If that atom switches positions, we’ll know it and get a better idea about how chemical reactions work. What all those little particles are and what they do. Getting funding for big machines that will discover even littler particles. And with that, it’s time to look at some more information about nuclear reactions. In another tutorial. One should note that it’s not exactly fair to judge all nuclear processes as dangerous due to the existence and use of nuclear weapons. Chemical weapons have been responsible for the vast majority of war deaths, both in terms of chemical explosives and toxic gases. And it would be interesting to see people ban biological processes due to the fact that bioweapons have caused fatalities in the past. While there are dangers in anything, the biggest danger with most technology is its intentional misuse by people with an agenda. Nuke plant / suspected cheese factory: By Stefan Kühn (Own work) [GFDL (http://www.gnu.org/copyleft/fdl.html), CC-BY-SA-3.0 (http://creativecommons.org/licenses/by-sa/3.0/) or CC BY-SA 2.5-2.0-1.0 (http://creativecommons.org/licenses/by-sa/2.5-2.0-1.0)%5D, via Wikimedia Commons.